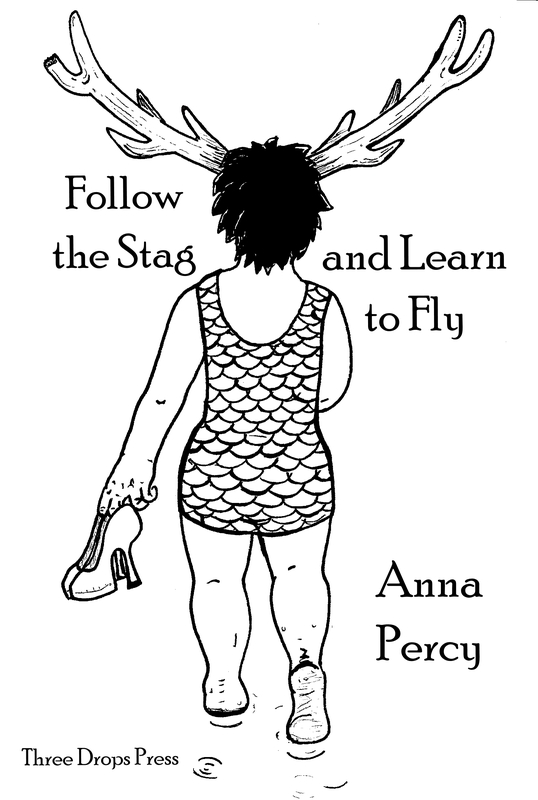 Follow the Stag and Learn to Fly is currently available on the Lulu website, or request to buy directly from the publisher by emailing threedropspoetry@gmail.com (£6.75 including UK postage). Coming soon to Amazon. Anna Percy has been writing for performance and publication for twelve years. She is undertaking a Creative-Critical PhD at MMU focusing on environmental poetry and mental health. This year her co-authored poetry collection Lustful Feminist Killjoys was published, her single author collection Livid Among the Ghostings came out in 2013, both published by Flapjack Press. She is a member of Stirred Poetry Collective who run live events, workshops (and are now publishing zines) with a feminist focus for six years.